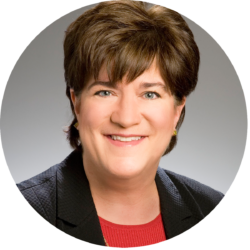 Melody Vollman joined Southeastern in September 2007 as Senior Vice President of Business Development for the Mid-South Region. Her office is based in Memphis, TN. She is focusing her marketing activity in Tennessee (Western and Middle TN), Kentucky, Arkansas, and Mississippi. Melody has over 30 years of experience in the commercial finance industry and the banking industry with positions ranging from auditing to business development. She is a native of Jonesboro, Arkansas and a graduate of Arkansas State University with a degree in Accounting. She became a Certified Public Accountant licensed in Arkansas in 1988. She began her career in public accounting eventually moving to the Commercial Finance industry as an auditor/credit analyst with First Tennessee Bank in Memphis. Melody subsequently worked as Portfolio Manager/Business Development Officer for the Asset Based Lending divisions of Union Planters National Bank, Compass Bank, and First American National Bank where she opened a Memphis ABL office for this Nashville based bank. Prior to joining Southeastern, Melody was with Presidential Financial in Memphis, TN as a Senior Business Development Officer. Prior to that she was Secretary/Treasurer and Co-owner of Community Business Finance, Inc. in Southaven, MS and a Business Development Officer for GE Capital Business Credit in Memphis, TN. Melody is active in several professional organizations. She is a member of the Tennessee Chapter of the Turnaround Management Association (Board Member), the Tennessee Chapter of the Association for Corporate Growth (Board Member and Memphis Programming Director), the Midsouth Chapter of the Commercial Finance Association (Past President). She also serves as a board member of the Risk Management Association, Memphis Chapter and has sponsored many events for both the Memphis RMA and the Nashville RMA. Southeastern Commercial Finance is a member of the Memphis Chamber of Commerce.